Each unique grow lamp system works best when it is moved on a grow light mover. That’s for any indoor grow setup and for any indoor growing system. Indoor plant light allows faster growth and maximum yield when that indoor plant light is moved on a grow light mover. How do LightRail Light Movers Work with the Unique Grow Lamp Systems? 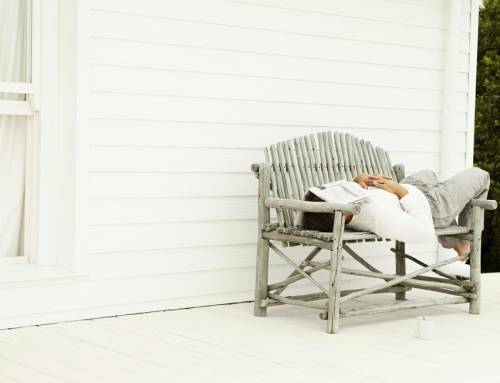 Here’s what we know: Indoor plant light is the single most important ingredient for the overall health of the plant. That indoor growing system detail affects the growth rate of the plant. The grow light system also affects the number of nodes and flowers and the overall yield. There is no other indoor grow system that comes close to impacting the plants to the extent that the indoor grow light does. And, that’s why understanding the available grow lamp systems and how to maximize each type of indoor grow light is so important. With indoor growing equipment and the indoor grow setup, the quality of the indoor grow lights is important. So, the grow lamp and overall grow light system is an area we simply do not want to skimp. For indoor plant light, all the grow light systems are unique in what they offer. 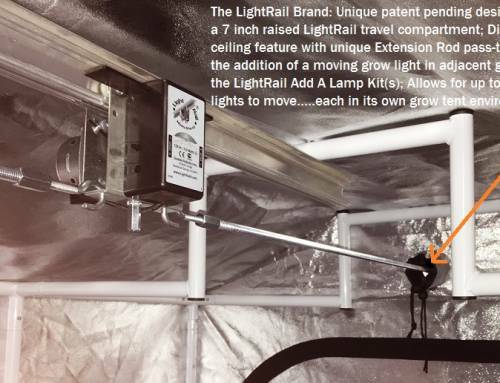 But, all indoor grow lights benefit when they are moved with LightRail light movers. There are the same benefits whether we use a LightRail 3.5 Kit, a LightRail 4.0 Kit or a LightRail 4.20 Kit. A grow light mover is simply the best way to maximize our indoor growing equipment. A grow light system using fluorescent lights, needing little electricity, is primarily used for starting plants in the vegetative stage. This indoor grow light can also be used for plants that require less light such as herbs and lettuce. But, these grow lamps cannot provide the light needed to bring any flowering plant to mature growth or fruit. For early growth, however, fluorescent grow lamps are fine. And, with a compact fluorescent light on a grow light mover, we can see much better coverage. Compact fluorescent lights on LightRail light movers are a natural combination. And, this grow light system on a grow light mover is perfect for the needs of young plants. When moved as robotic lights, this type of grow lamp is maximized for this early growth setting. 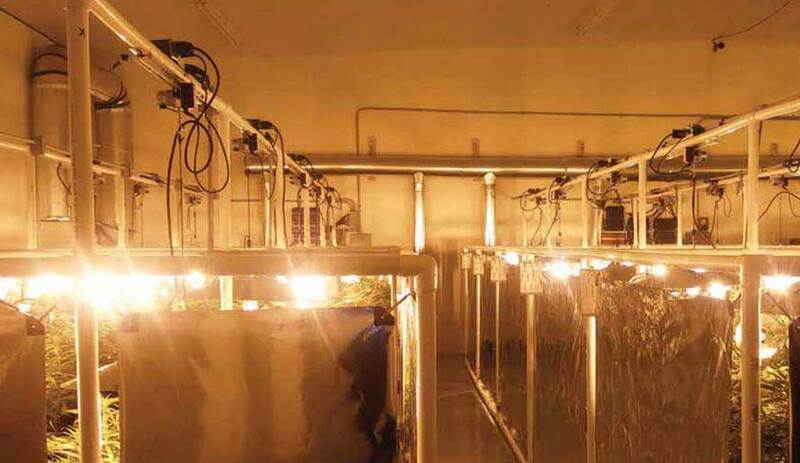 High-pressure sodium (HPS) and metal halides (MH) are still the most widely used grow lamps, although sometimes they are used in addition to LEDs. They are fine as stand-alone indoor grow lights, also. These grow light systems have powerful grow lamps that require a ballast. 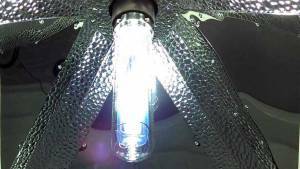 Metal halide (MH) indoor grow lights have more of a blue spectrum, mimicking the light of spring. And, these indoor grow systems are perfect for the growth or vegetative phase of plants. High-pressure sodium (HPS) indoor grow lights have more of a red spectrum, mimicking the light of fall. This indoor grow system is perfect for the bloom phase of plants. Both are hot grow light systems and when they are stationary, they shine intensely on the plant canopy. That intense grow light zone is directly under the grow lamp, leaving the majority of the plant shadowed. Putting any high-pressure sodium (HPS) grow light or metal halide (MH) grow light on a LightRail light mover, however, changes things. Take a look at the grow light ppfd comparison chart to see how that looks. The grow light mover spreads the indoor grow light more efficiently, getting rid of the hot spots. It also gets rid of the shadows and gets a better quality of indoor grow light to all the leaves for optimum leaf area index. And for indoor plant light, that’s the single most important factor in increasing a plant’s yield. A LightRail light mover, acting as a robotic light, makes all the difference. That’s in faster plant growth along with increased yield. Double ended (DE) grow lamp systems can be high-pressure sodium (HPS) or metal halide (MH). The advantage is that without a frame wire inside the grow lamp, there is no shadow in the grow lamp. So, more of the indoor grow light can get to the plants. There is also a more stable, even output of light along the length of the grow lamp. 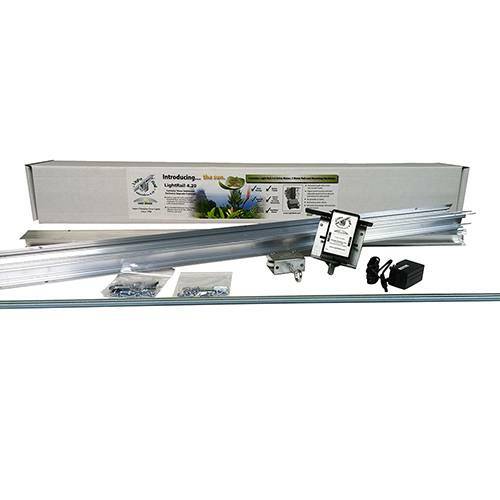 A double-ended grow light uses its own specific DE ballast and when used in conjunction with a light mover light rail system; they are hard to beat. Some of the best yield results come with this combination. And, that’s because a really good grow light turns into a great grow light when you move it on a grow light mover. LED grow lighting has its own advantages, including using less electricity and throwing off less heat. They can also improve the quality of a harvest. Many growers use them in conjunction with high-pressure sodium (HPS) grow lighting and metal halide (MH) grow lighting. LED indoor grow systems have a defined grow lighting beam. And, they work best when they are moved on a light mover rail as rail lights. 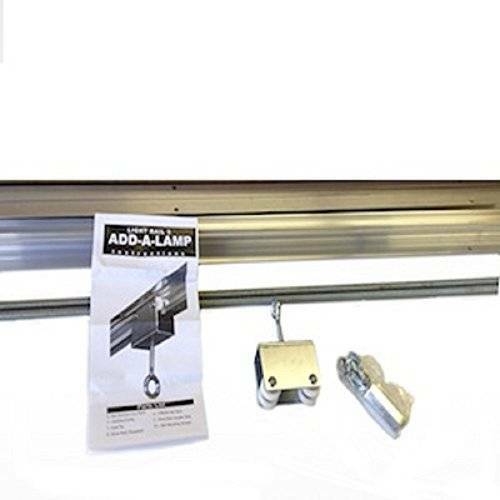 This quality-focused grow lamp system can then be efficiently spread on light movers for even more light penetration. The results are pretty impressive. LED grow lights take off when you move them on a LightRail light mover. So, they should absolutely be paired as part of an indoor grow kit, the LED grow light with a grow light mover. Maximizing indoor growing equipment is smart, and with LEDs it is an obvious and logical combination. Light emitting ceramic (LEC) grow lighting is fairly new and has impressive results. These indoor grow systems are basically a new version of the metal halide (MH). And, what’s unique is in the ceramic tube which allows the grow lamp to burn at a higher temperature. This makes for a more natural, sun-like indoor grow system. This is what all indoor garden lights are shooting for. LECs also benefit greatly by being moved on a LightRail light mover, as the basic science of that is the constant. 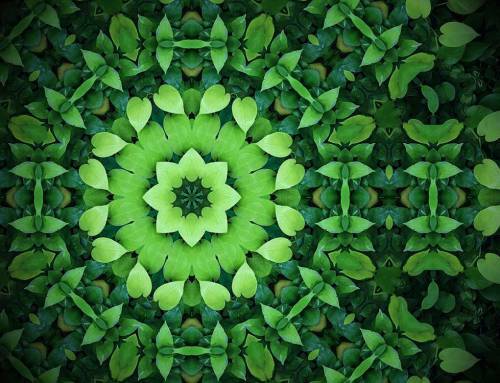 We want the best indoor plant light to get to all the leaves. And, we want better coverage and better penetration, thereby eliminating hot spots and shadows. An indoor grow system with each grow lamp moving on a grow light mover will give us these positive indoor growing system results. Whether your indoor garden lights are LECs, LEDs, Double ended (DE), metal halide (MH), high-pressure sodium (HPS) or compact fluorescent, the single most important thing to do is to move your grow lights. 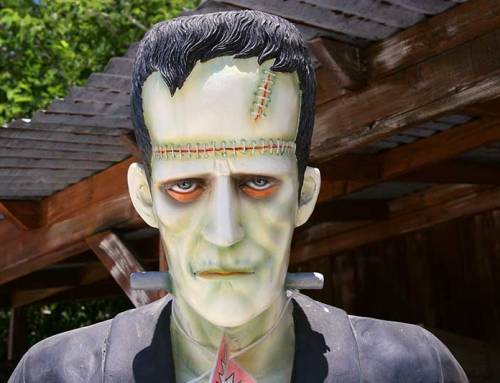 It’s the best way to increase the wattage and ppfd numbers at hand. And, its the only way to get the best grow light to all the leaves. Think of your indoor garden lights and your grow light movers as a combined indoor grow system. And, this indoor grow kit works best as one unit. Getting the best quality grow light by moving it on a light mover is an important efficiency move. And, it’s the only way to get the correct intensity of light to all the leaves. By maximizing the grow lamp systems of our indoor grow setups, we can maximize our results. 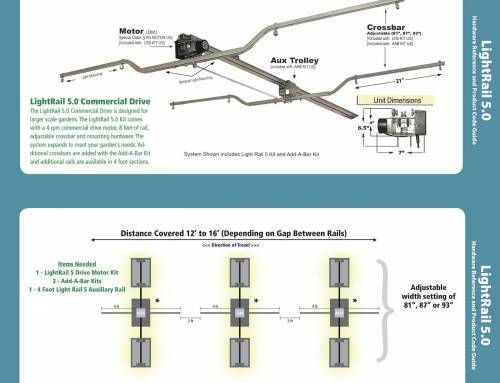 Grow lamp systems vary but each indoor growing system benefits when it is moved on a LightRail light mover, and along a rail as rail lights. Indoor grow systems that include grow light movers offer more. These light movers act as robotic lights to get a better quality grow lamp to more of the plant surfaces and at just the correct amount of time.